From our CESE Op - Eds and News page, some relevant articles by our own Ken Whiton! New Mexico PED Wants to take Science out of Science Standards?!? When CESE formed in 1997, the NM Board of Education had removed the very word "Evolution" from state science teaching standards. 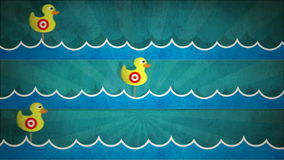 Members of the new organization formed to oppose the flawed standards began to call themselves "Ducks", referring to the manner in which Creationist arguments are like ducks in a shooting gallery: "easy enough to shoot down, but no matter how many times you do it, they pop right back up again." CESE, led by its founder Marshall Berman, and aided by many other science groups, eventually prevailed, and New Mexico's science standards have been exemplary for years. Now, however, the Public Education Department, which replaced the State Board of Education years ago, has actually proposed several modifications to state standards up for adoption which once again serve to downplay the science behind evolution and global warming. Mother Jones has a detailed informative report, "New Mexico Doesn’t Want Your Kids to Know How Old the Earth Is, Or why it’s getting warmer." New Mexico’s public education agency wants to scrub discussions of climate change, rising global temperatures, evolution, and even the age of planet Earth from the standards that shape its schools’ curriculum. The state’s Public Education Department this week released a new proposed replacement to its statewide science standards. The draft is based on the Next Generation Science Standards, a set of ideas and guidelines released in 2013 that cover kindergarten through 12th grade. The NGSS, which have been adopted by at least 18 states and the District of Columbia, include ample discussion of human-caused climate change and evolution. Here are some of the changes which have been proposed. Mention of the billion-year age of the earth has been removed, the very word "evolution" has been replaced by "biological diversity", and global warming is described by the mild euphemism "climate fluctuation". Look for "Notice of Proposed Rulemaking to obtain input on the proposed repeal of 6.29.10 NMAC, Science, to be replaced by 6.29.10 NMAC, New Mexico Stem-Ready Science Standards." on the PED's Public Notices page. There will be a Public Hearing on October 16, 2017 from 9:00 a.m. to 12:00 p.m. (MDT). It's time to get our Ducks in a row!